While my friends abroad gathered around a turkey, gravy and mashed potatoes, I gave thanks eating tapas and Spanish rice. Thanksgiving isn't a thing anywhere else but North America...unfortunately. My Instagram feed was covered with food-blog worthy photographs of feasts happening all over the United States. Knowing I was going to miss out on delicious homemade pies as well as not seeing my closest friends who had their own celebration in New York, I convinced my Mom, her friend, and daughter to have a feast of our own. My mom is friends with the owner of the cozy Spanish restaurant that just moved from Central to Tai Hang. 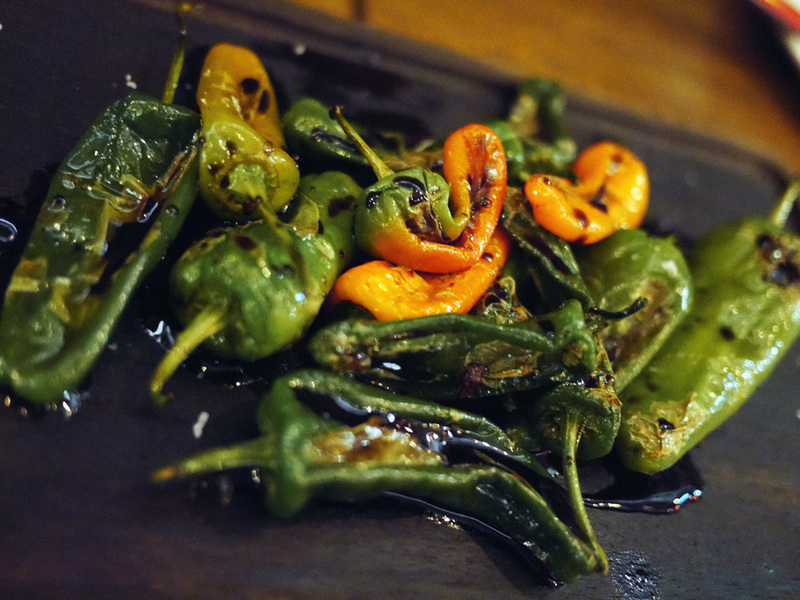 It's called Paella Paella and houses carefully cooked, authentic Spanish dishes. We started with an assortment of hams and cheese. I could have their Spanish ham all day everyday. Not kidding, the one on the far left is some of the best ham I've ever had. Then came the traditional cold tomato soup. The little yellow balls on the side are olive oil. We went through several plates of appetizers (tapas) that were all rich in flavor. The pork crumbled when picked up because of it's tenderness. Sooo goo0o0od. And for the main course, what this restaurant is known for, the Paella. 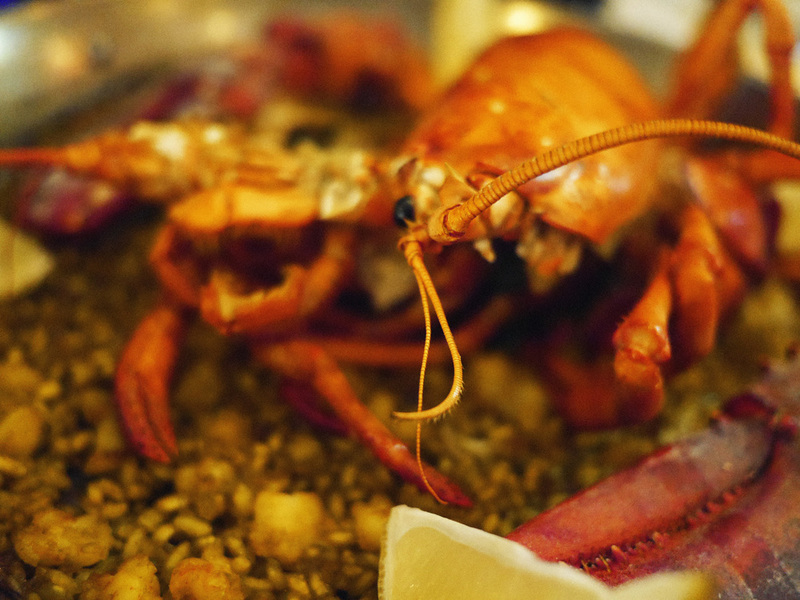 The owner recommended the lobster paella, which of course is what we ordered. Good good good happy happy happy. My stomach was filled to the top by the time the huge dish was done. This was my second time eating at Paella Paella and I still would not hesitate to go back! I had been dying to try the new ice cream place that opened near the restaurant. So after dins we took a walk to the new Soft Creme. 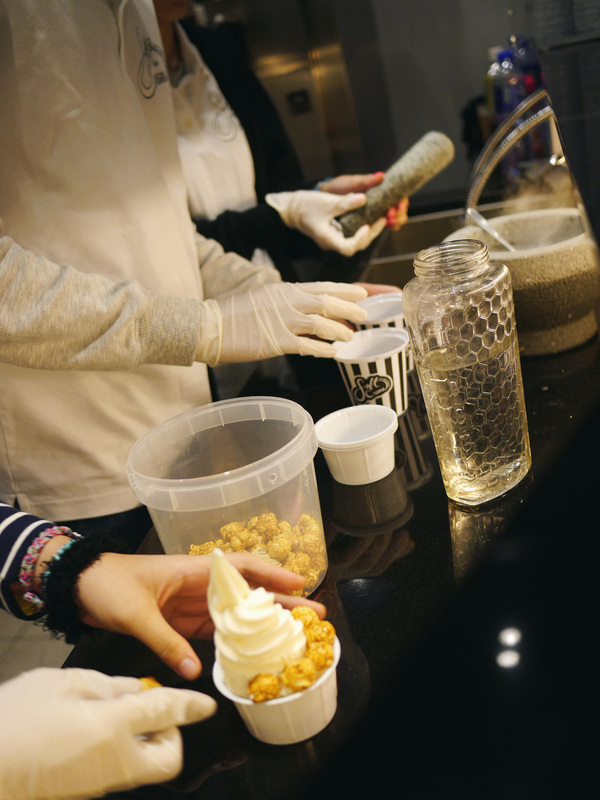 With the original nitrogen ice cream store, The Lab, down the road, Soft Creme has become it's competitor. 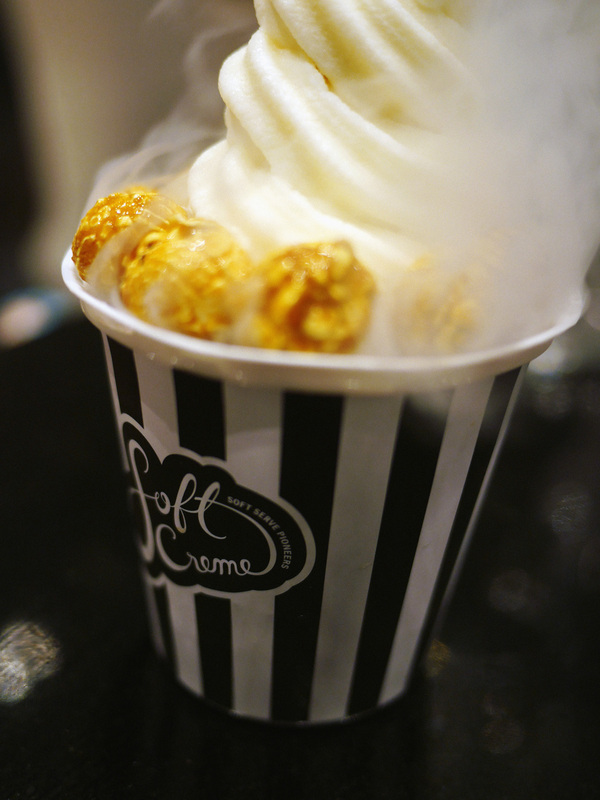 the ice cream cups have dry ice under it. It made for a cool camera moment but the ice cream was pretty mediocre. 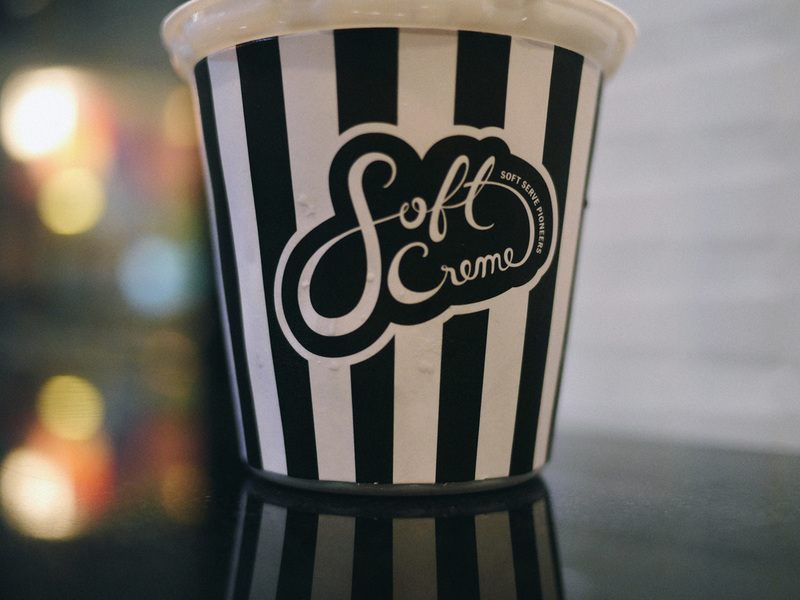 Not soft like I expected Soft Creme to be. Awks. I finished the popcorn and dumped the rest of it out. My "Mom it's not that good what do I do?" face. It was a disappointing end to a really good night of food, but it's alright. I'm thankful I had the opportunity to try it. On top of that, tis' the holiday, I'm incredibly thankful that all my family and friends are all healthy and livin' life. My brother comes home in two weeks and so do the rest of my friends. The festive season is coming and I am so extremely grateful.